When you are setting up your smart home configuration, one thing is for sure you need to pick the perfect hub. The hub is like the brain of your smart home. It keeps all your device interconnected and allows you to remotely take control. Many different hub manufacturers are popping up every day as smart technologies become even more innovative. Logitech Harmony Hub may have been one of the forerunners in this regard, but not any longer. Now you have many alternative products being released at a cheaper price but with just as many features. Picking the perfect hub is an important decision as it is what is going to let your smart devices speak together and work together. What is the point of investing in smart technology if it does not all flawlessly integrate into your home? If you are looking for a way to connect all your smart devices together then you need a premium quality smart hub. Otherwise, your smart lights will not integrate correctly with your smart espresso coffee machine schedule. Why have a smart thermostat if you can not remotely access it via your home hub system? The best smart hubs are all compatible with Siri voice activation, Amazon Alexa, and Apple HomeKits. This means you can create the best and most effective smart hub system today by picking up an Logitech Harmony Hub alternative. Today we have prepared a round-up of some of the best smart hub and remote controllers available. Currently, it is easy to get lost in all the array of features. Do not worry though we have broken down the best smart home hubs available and reviewed them for you. So read on and learn about what are the best Logitech harmony hub alternatives that you can buy today. The Xiaomi Smart Home Kit is an amazing piece of smart home technology. It is designed in the Xiaomi theme looking very professional and stylish. 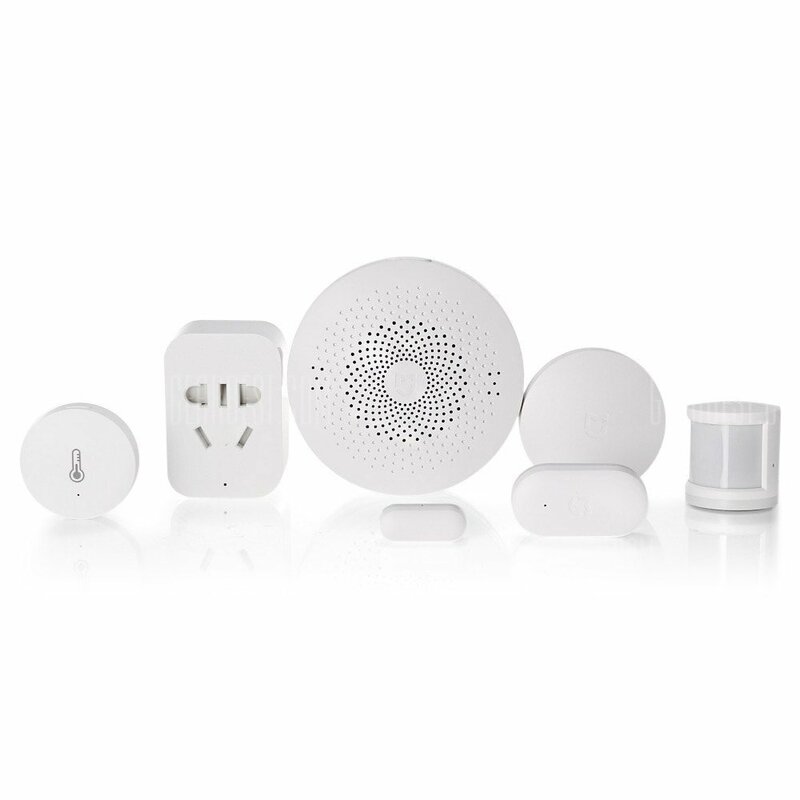 The kit comes equipped with several key components as well as the hub functionality it gives you a Smart Wireless Switch, Presence Sensor, Smart Plug and a Door Opening Sensor. All great gadgets to help bring your home into the smart world. This lets you create a whole range of healthy smart home functions. For example, you can remotely monitor if your door opens when you are on vacation. It could send you a push notification straight to your phone if the door ever opens when you are away. With the smart plug provided, you can easily integrate a device like a radio into your configuration. Schedules can be used to turn devices on and off. An alarm feature is integrated, so you will never be late to work again with the Xiaomi Smart Home Kit. The temperature sensor can let you set up automatic thermostat monitoring, saving your home energy by automatically adjusting the thermostat when needed. And can also detect current power consumption, even gives you easy to read a statistic about your electricity consumptions. The Xiaomi is definitely an amazing option for a user needing to set up a full smart home configuration. You may encounter some language barriers with some Chinese popping in their App, but nothing a little bit of googling cannot solve. The BroadLink Smart Universal Remote Control is the hub that will solve all your everyday needs. This is a fully Wi-Fi enabled remote that can easily control smart devices within your home. You can set up scheduling with a touch of a button. Have the TV turn on at a set time and record your favorite show. Remotely turn on the radio or your new smart espresso machine, when needed. Forgot to turn off a light? Not to worry you can log into the BroadLink App remotely and monitor this with just an internet connection needed. This is a complete smart interaction option, which is easily set up. 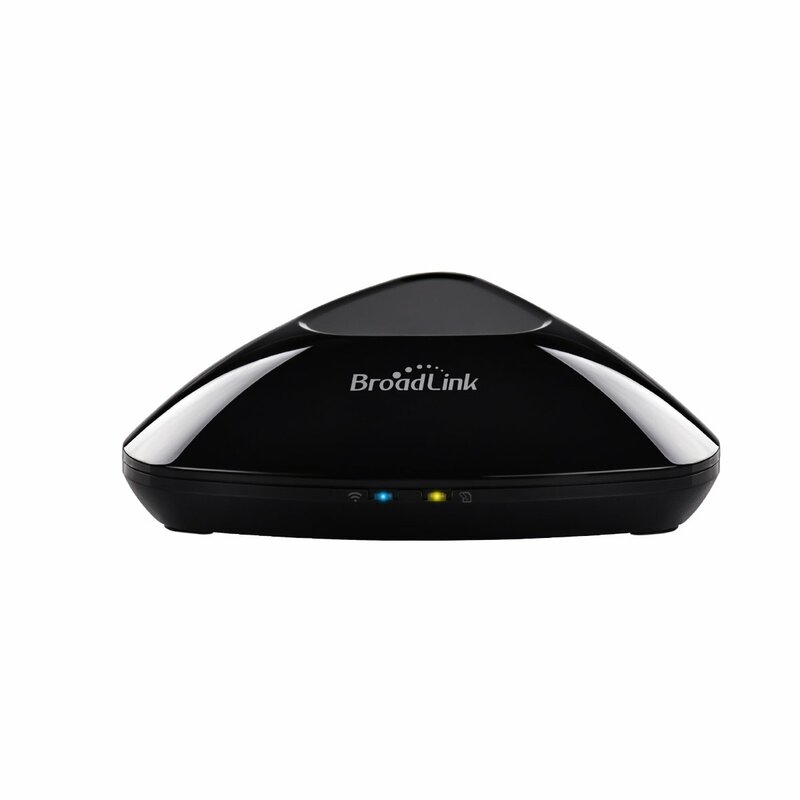 The Broadlink hub boasts compatibility with over five thousand home devices, so your options really are limitless. You can control your air conditioning or even your speakers easily from the App. You can even use the built-in sensors to monitor the light, having the adjusted automatically regarding the situation. The easy to use BroadLink App even lets you set task lists for your home. For example, if it heats up to a certain temperature, then it could turn on the AC and also turn off electric devices. The BroadLink hub is a premium quality with high-grade components, ready to integrate easily into any home. The Neeo Thinking Remote is aimed at users wanting a more traditional look. Miss your remote control? Well then pick up a Thinking Remote and use it for everything. No joke, this remote will let you easily control all the smart devices you need in your home. If you need to turn down the heating or turn on the speakers, the Neeo remote can do that for you. WIth compatibility built in to respond to over 60,000 devices, you will not have any issues with integration. The great thing about this hub option is it has been built with simplicity in mind. Parents, kids, and grandparents will find it easy to use no matter what their technologic abilities. Just install their Neeo brain in your home and the remote will start to control all your smart devices. This device is Wi-Fi, Bluetooth and Z-WAVE enabled so it can be used with any sort of smart device. The infrared sensors will also make you feel more safe and secure. For example, you can set up a schedule that if it detects movement during the night, your phone will ring and the lights will turn on. Or no more falling down the stairs in the night, with the Neeo smart hub safety features lights can turn on automatically during the night. This is definitely the perfect Logitech harmony smart hub alternative for a family with small children. Safety and simplicity are what the Neeo company are all about. 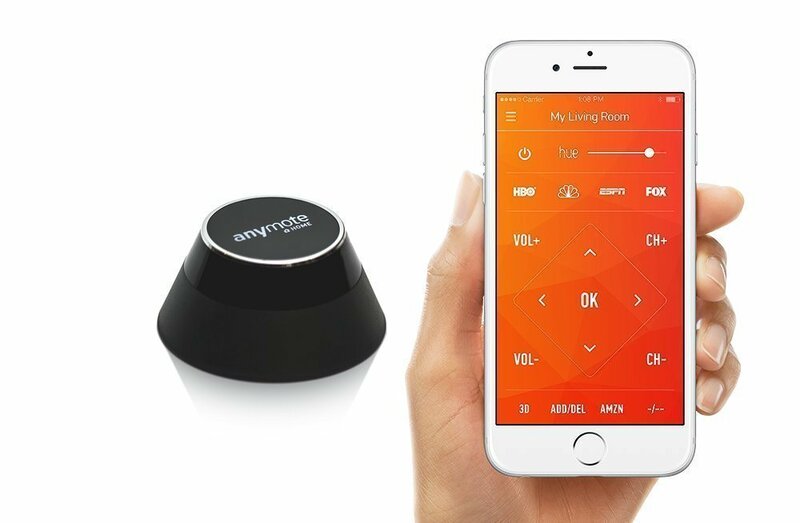 The AnyMote smart hub, a perfect all in one harmony hub alternative. This one remote can easily control all your smart devices. No more hassle of finding out which smart devices work with Siri or Alexa, this hub can bring them all together for you. With Wi-Fi enabled and Bluetooth functionality built in, you can have the AnyMote flawlessly integrated into your smart home configuration within a matter of minutes. Set up scheduling with their handy little App, make lights turn on in the morning and the radio blares your favorite song. Easily have the coffee made without even leaving the comfort of your bed. And if you are ever worried you left the door open? Remotely check the hub to see if that is the case. The Smart Remote App is very easy to use and very intuitive. No matter what level of user you are, you will not have a problem using the numerous features of your AnyMote hub. A simple and effective way for anyone looking to have control of all their infrared and wi-fi devices in one app. The Samsung SmartThings Hub may be the biggest and well-known brand that makes a Logitech Harmony alternative for you. Not only that the manufacturers boast that they can make this device in the USA for you. Easily control all the smart devices in your home with their SmartThings app or use Amazon Alexa. Your home can learn when you are sleeping and when you are awake, with a couple of scheduling inputs. Lights can turn on when needed and speakers can be accessed remotely. This ease of use definitely makes the Samsung SmartTHings one of the best home hubs on the market. Not only being an effective controller for your Wi-Fi enabled devices it also offers you that peace of mind of security. Their sensors can easily set off alarms if any unknown movement is detected. Go on vacation without having to worry that someone may break into your home. Easily be notified if your door ever opens when it should not. The SmartThings also boast numerous energy consumption monitoring sensors. Control your thermostat automatically it the best way possible: remotely. Or provide you with stats like energy and electricity consumption. This lets you effortlessly monitor the consumption of your home and adjust your usage accordingly. 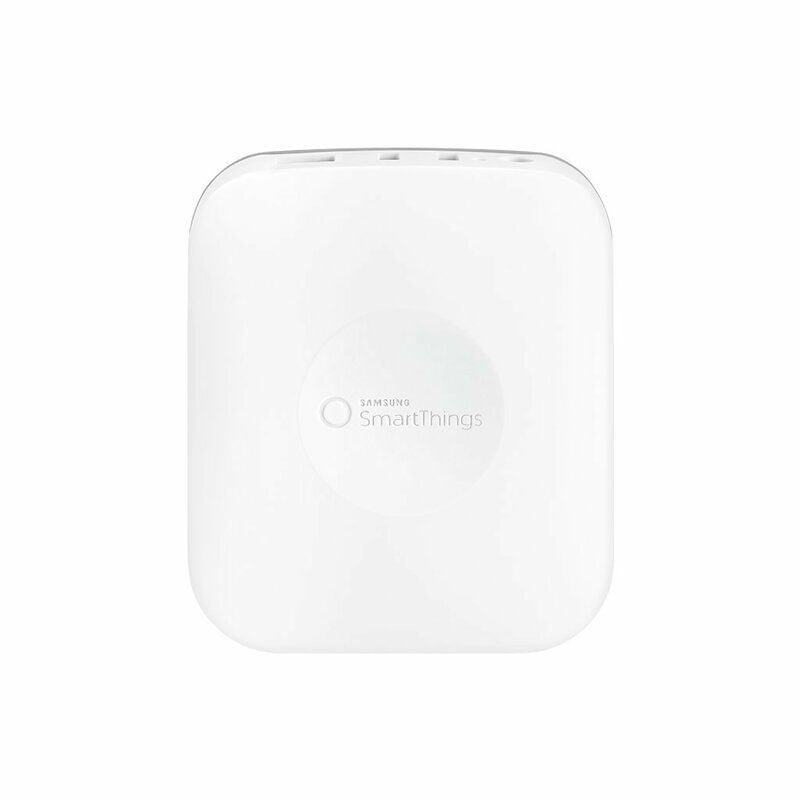 If you are looking for a premium high-quality smart hub from a household brand, then the SmartThings is what you need. That wraps up our article on the best Logitech Harmony alternatives, please let us know what you think. We hope you enjoyed reading the roundup. And let us know which hub you are using in your home, or if there is another product available for our readers. We always want to know what our readers are using.